Chad recently brought his pops into the gym while he was here visiting from out of town. Nice to meet you Mark!! “Neuroendocrine adaptation” is a change in the body that affects you either neurologically or hormonally. Most important adaptations to exercise are in part or completely a result of a hormonal or neurological shift. Current research, much of it done by Dr. William Kraemer, Penn State University, has shown which exercise protocols maximize neuroendocrine responses. Earlier we faulted isolation movements as being ineffectual. Now we can tell you that one of the critical elements missing from these movements is that they invoke essentially no neuroendocrine response. Among the hormonal responses vital to athletic development are substantial increases in testosterone, insulin- like growth factor, and human growth hormone. Exercising with protocols known to elevate these hormones eerily mimics the hormonal changes sought in exogenous hormonal therapy (steroid use) with none of the deleterious effect. Exercise regimens that induce a high neuroendocrine response produce champions! Increased muscle mass and bone density are just two of many adaptative responses to exercises capable of producing a significant neuroendocrine response. It is impossible to overstate the importance of the neuroendocrine response to exercise protocols. 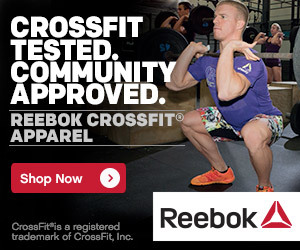 This is why it is one of the four defining themes of the CrossFit Program. Heavy load weight training, short rest between sets, high heart rates, high intensity training, and short rest intervals, though not entirely distinct components, are all associated with a high neuroendocrine response. —courtesy of CrossFit, Inc.